What would happen if your children learned through play and gaming, through game-based schooling? What difference would it make in their education? In their lives? Listen as Explorers Creativity Club Program Director describes their Live Action Role Playing adventure club and the powerful difference it’s making in kids’ lives. And how it’s centered on game-based schooling. 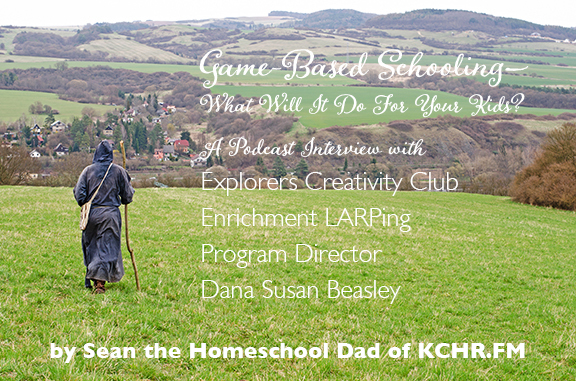 Interview done by Sean the Homeschool Dad at KCHR.com. Want to get involved? Sign up your children today for our summer camp! Hurry! We have limited availability and the prices will go up every month. Payment plans only available for the end of this month. This is game-based schooling at its finest!